Following the successful launch of the Mirror 5, global electronics company OPPO announces Lazada as their newest partner. 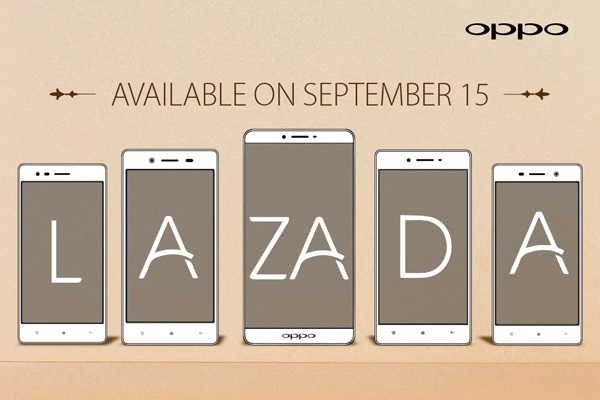 The partnership will start on September 15 which is also the launch date of the OPPO R7 Series. The R7 series comes in two variations – the 5” screened R7 Lite and the more powerful 6” screened R7 Plus. Both phones run on OPPO’s newest OS, the ColorOS 2.1, and have a plethora of unique features that will ensure an easy, top of the line experience. The OPPO R7 Series will be available in every OPPO store and retailers nationwide. Lazada, the country’s largest online store, will also carry the OPPO R7 series in their store. Prices of the phones will be announced on the day of release.